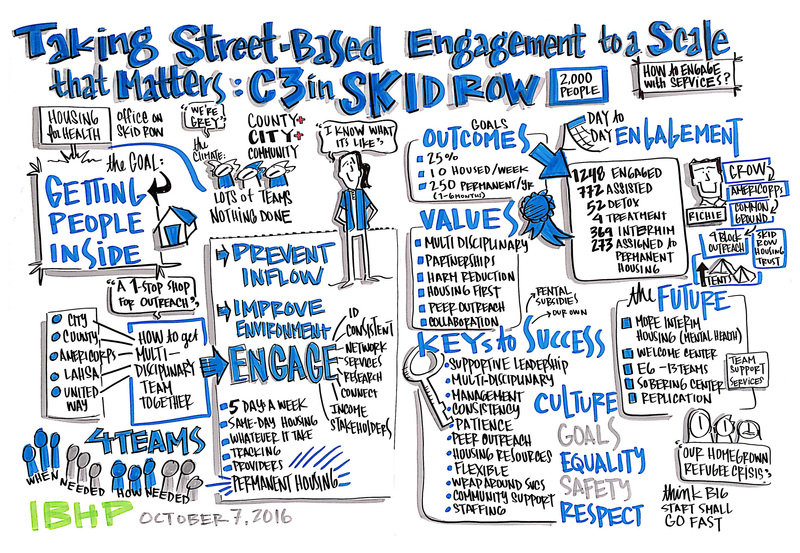 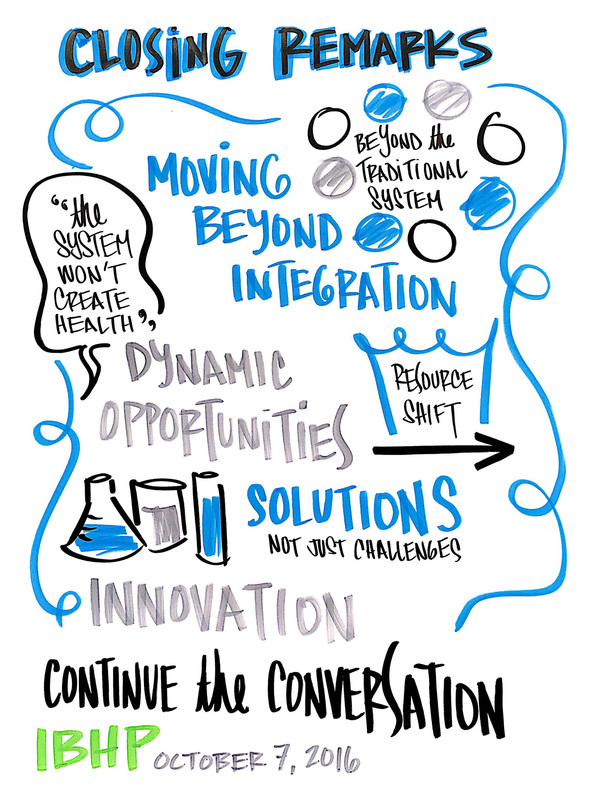 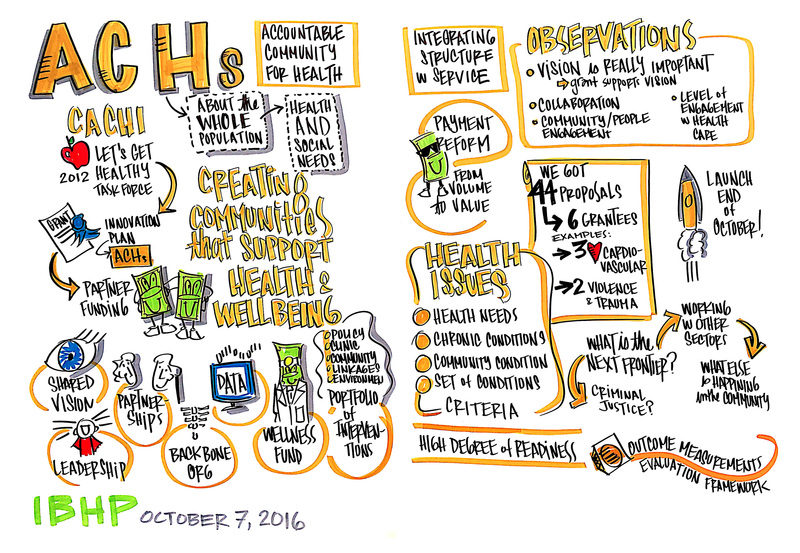 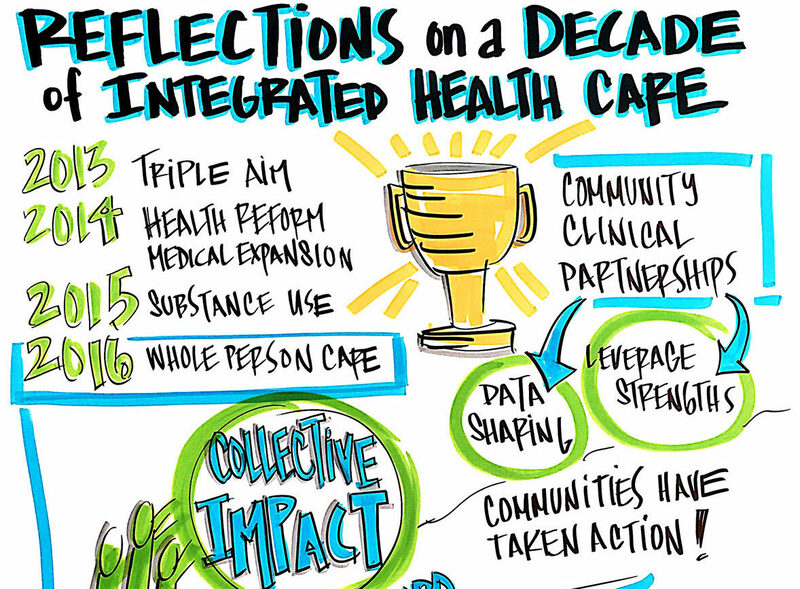 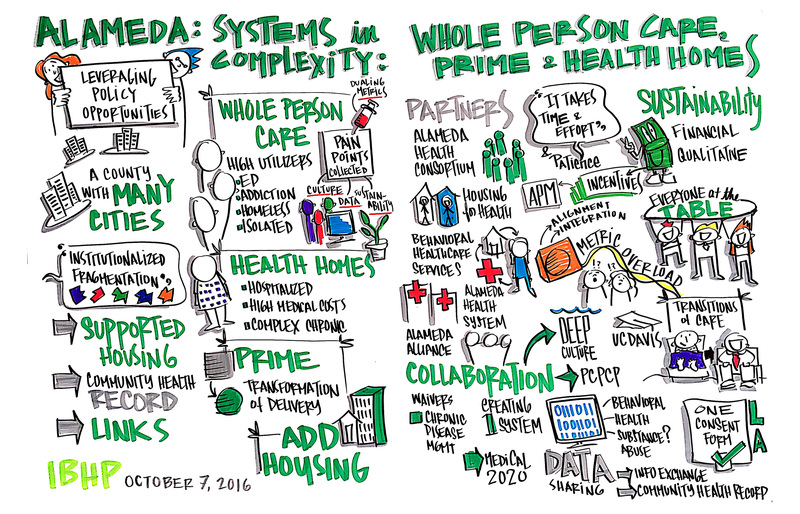 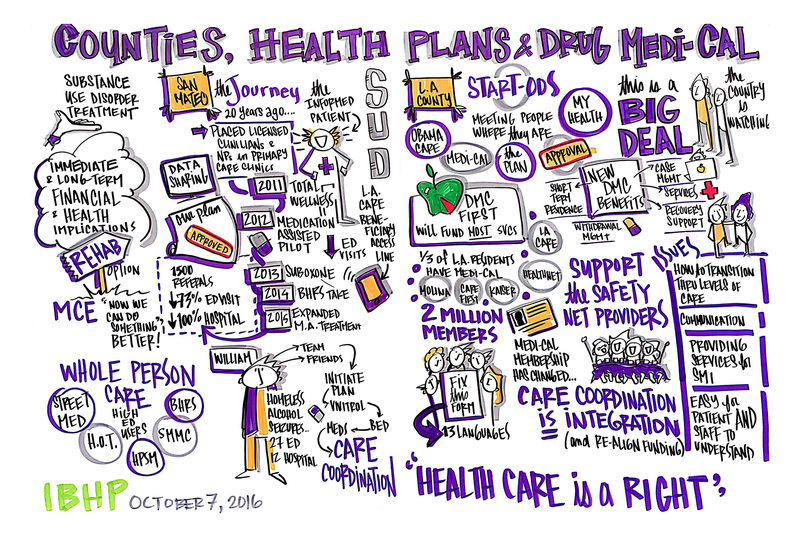 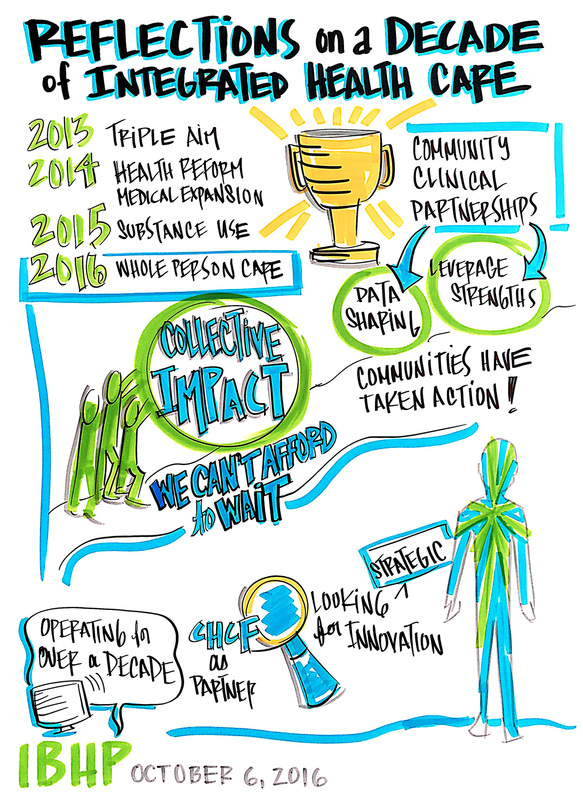 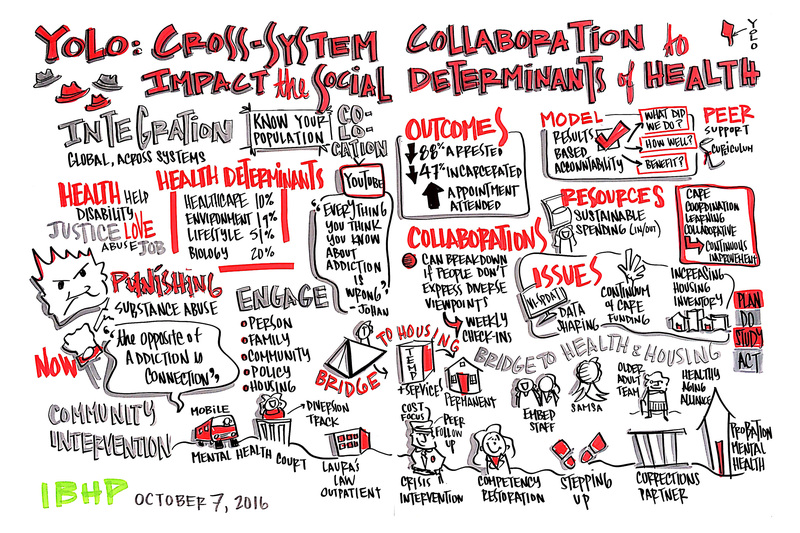 During the The 4th Annual Innovations Summit on Integrated Care, we focused on expanding behavioral health integration to whole person care, with a particular emphasis on “Clinical and Community Collaboration to Achieve Collective Impact.” We had the privilege to have the presentations and ensuing discussion captured by graphic recorder Wyn Wilson. 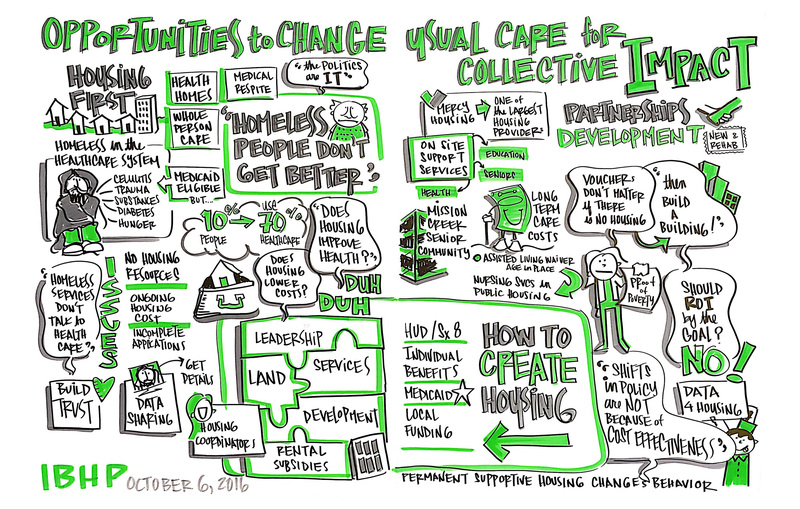 Below, we have gathered the images Wyn created. 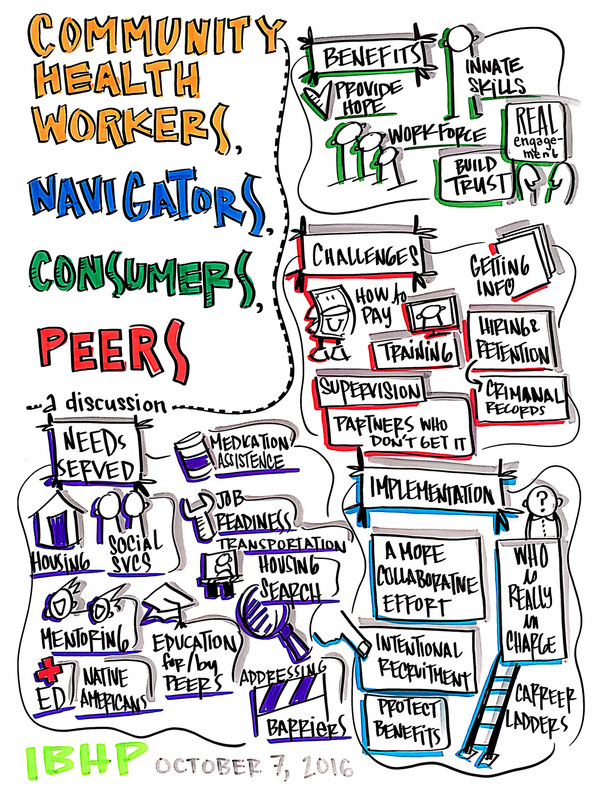 You may use the arrows on the sides of each image to navigate, or click an image to enlarge it and then use the arrows to move through the slide show.